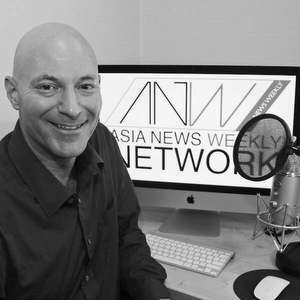 In Anyang, Colin talks with Steve Miller, creator of the Asia News Weekly podcast, and the vlogger formerly known as QiRanger. They discuss whether he notices what goes on on around him has he records himself on video on the streets of various countries; the suburbs of Seoul versus the suburbs of Phoenix; the possible pronunciations of “QiRanger”; why he lives in Asia, and in this moment Korea; whether he researched Korea beforehand or just plunged in; when and why he made his first video ever; how his travel videos came as a natural extension of old family slideshows; the origin of his “walk-and-talk” videos, in which he does exactly that; the usefulness of neighborhood maps in Korean subway stations, especially when they got calorie counts added to them; why he enjoys Korean food in the Philippines so much; his experience as a tall white guy with a shaved head in a homogenous Asian country, and how his youth at a black school prepared him for it; how he got into news podcasting; the cafe street in Dongtan, where he lives, and how business models become brief crazes in Korea; the planning for failure Koreans don’t tend to do; his Korean foods of choice; the difference between 신천 and 신촌; his success rate with Mexican cuisine in Korea; how to think about the Philippines; the inevitable video-making that happens on his vacations; what a GoPro actually is; they myth about foreigners in Korea he’d most like to explode; the motivation his Star Trek-watching childhood instilled in him; why he wants to stop teaching basic English in Korea, and why students of English there rarely learn to communicate well; why he thinks Asia is so important, and how he thinks it enriches those who come to it. This was written by Colin Marshall. Posted on Sunday, January 11, 2015, at 9:52 am. Filed under Korea, Notebook on Cities and Culture. Bookmark the permalink. Follow comments here with the RSS feed. Comments are closed, but you can leave a trackback.